The Man, The Comedian, The Legend! George Wallace has returned to Las Vegas! This longtime star of stage and screen has dropped a thousand mics. Come watch a comedy legend serve up a heaping plate of laughs with extra hot sauce. At all costs, he avoids standard opening lines and is known to be an ace at reading an audience. Among other comics, Wallace is known as “the guy who can roll the room over if it’s dead." He finds humor everywhere he turns – from media to relationships to dialogue clichés. After picking up your tickets at the box office on the main casino floor, you'll head to the Westgate Cabaret to take your seat for an evening with the "New Mr. Vegas". 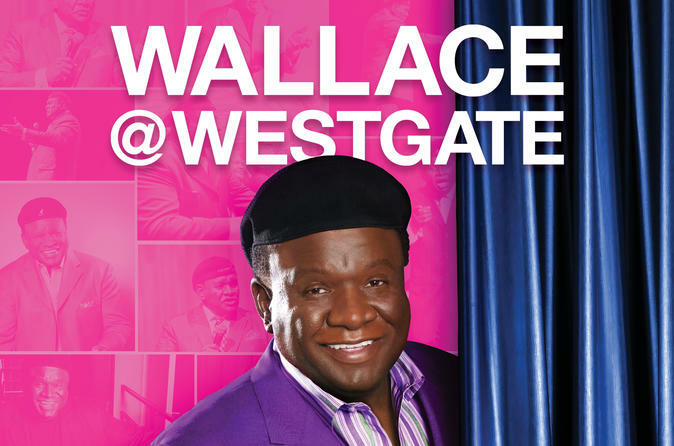 George Wallace, who has been selling out comedy clubs and concert venues all over the world, derives his comedy from the everyday and simply shares moments of life. Recently, Wallace appeared in the hit show Comedians in Cars Getting Coffee with Jerry Seinfeld and starred alongside Morgan Freeman in the film Just Getting Started. He will be seen in the upcoming movie “The Last Laugh,” alongside Richard Dreyfus and Chevy Chase.